Thinking about becoming an avid camper? Are you seasonal camper looking to upgrade your old travel trailer? Searching for a travel trailer in Franklin, Wisconsin but not sure where to go? Then look no further than your local Airstream Trailer supplier, Ewald's Airstream of Wisconsin. Ewald’s Airstream is known for having a vast inventory of new and used travel trailers for sale, with everything from an Airstream Flying Cloud 20 to a Bambi trailer and everything in between. Here at Ewald’s Airstream of Wisconsin, we understand that each person who walks onto our lots has different wants and needs. Which is why the team at your local Airstream is happy to answer any and all questions you may have about one of the many new and used Airstream trailers for sale. Whether you are a first-time trailer owner, or just looking to upgrade, Ewald’s Airstream has every kind of Airstream trailer you could imagine from large that can sleep up to 6 to a compact trailer that is perfect for a romantic getaway.That includes a vast selection of Airstream Flying Clouds for sale, such as a Cloud 20 for sale. The Airstream Flying Cloud 20 comes with many features that are sure to put a smile on even the most reluctant campers face. When you camp in the Cloud 20, it feels more like a five-star hotel than a travel trailer with the perfect combination of outdoor living and indoor comfort. The Cloud 20 can easily sleep up to four people comfortably, making it ideal for a small family. This Airstream trailer comes with a full kitchen with a convection oven and two burner stove top for all of your cooking needs. A large round stainless steel sink with a Moen faucet gives the kitchen a sleek and sophisticated style, and a stainless steel cover for the seek gives you plenty of room to prepare and serve food. The Cloud 20 keeps you cushioned in comfort with light wood features and innovative storage solutions keeping your Airstream clean and clutter free. Your every tech need is met in this Airstream travel trailer for sale with technology that is smartly and subtly built into every area. Never worry about your kids being bored on a rainy day with a built-in Samsung LED HD TVs with surround sound and USB and 110V outlets throughout to keep all of your devices charged. 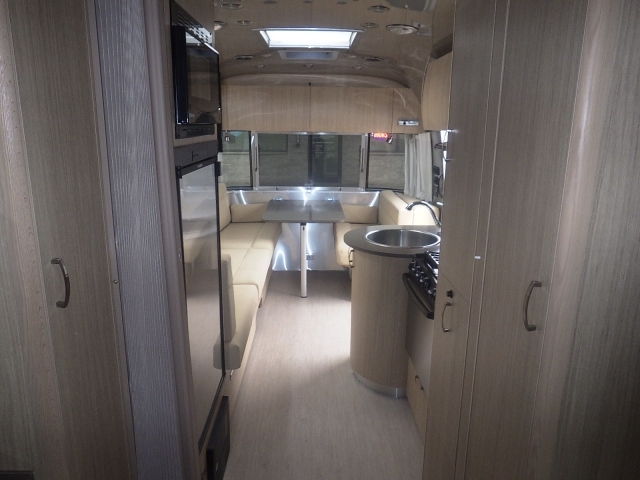 This Airstream for sale is sure to last longer than its bulky and cumbersome competitors, designed to move from place to place and with advanced anti-sway technology, the Cloud 20 is perfect for everyone from a first-time travel trailer owner to a veteran. Plus with its lightweight, you will not feel the pain at the pump at the end of your trip. The Airstream Flying Cloud 20 works perfectly for everyone from families, long-term travelers, and even weekend warriors. 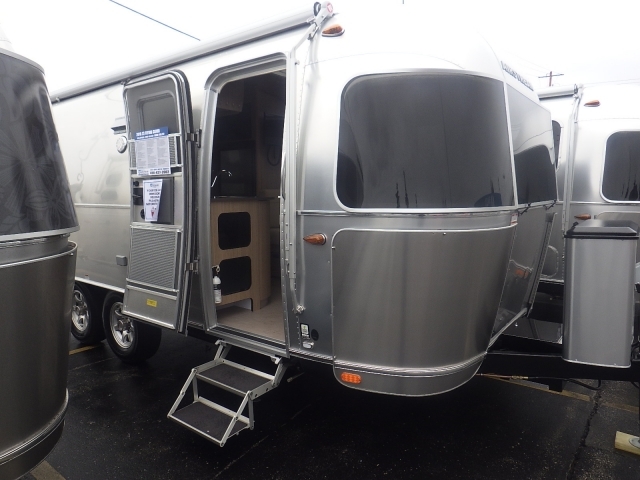 Come to Ewald’s Airstream of Wisconsin and see one of the many impressive Airstream trailers for sale, and schedule a walk-through to get an accurate feel for what comfort and camping feel like. When you are looking for Airstream dealers near you come to Ewald’s Airstream of Wisconsin is at 6319 S 108th St in Franklin WI 53132.